For a variety of reasons, teenagers may desire to cut meat from their diets. While careful planning is necessary for vegetarian teens to meet daily nutritional needs, the Academy of Nutrition and Dietetics states it's perfectly safe for kids and teens to following vegetarian meal plans. 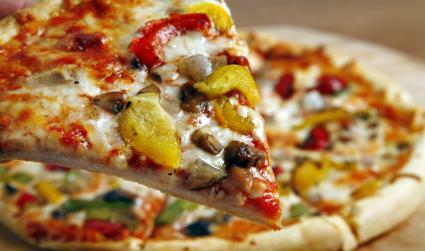 However, knowing how to plan nutritionally-adequate vegetarian menus is a must. Below are some sample vegetarian menu ideas for teens; portion sizes will vary based on individualized calorie needs. Vegetarian teenagers will love this menu because it's simple, and they can easily pack the lunch to take to school. It's well balanced and provides all essential nutrients teens require daily. The following menu is filled with teen-friendly vegetarian foods, including a lunch they can pack for school, and even frozen yogurt as a snack. This menu can be used for teens following vegan meal plans -- teens who don't eat any type of animal-based foods (even eggs and dairy products). 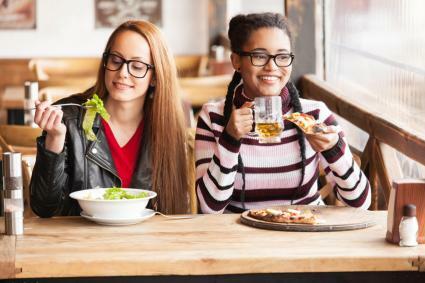 Teens will enjoy this well-balanced menu, which helps vegetarians meet daily nutritional needs with easy-to-prepare, teen-loving foods -- like pizza. Likewise, they can easily pack the lunch for school. Vegetarian teenagers can meet their nutritional needs without eating meat by using carefully planned, well-balanced vegetarian meal and menu plans. Work together with your teen to come up with lots of options for healthy meals and snacks.